Bridging the divide is a series of articles proposing three investments which can boost active travel by linking communities divided only by the cost of a bridge. 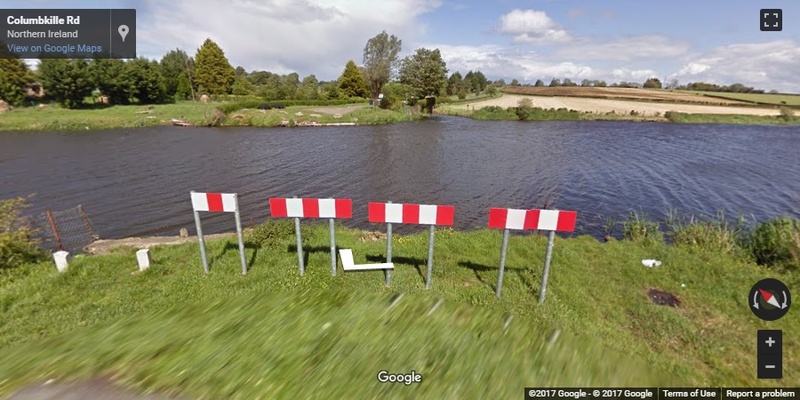 As the River Bann flows into Lough Neagh, a former crossing point has fallen into memory – now a traffic-free bridge could link more than just two small settlements, it could complete a missing link in tourist trail surrounding Lough Neagh. Bannfoot is a small village situated by the point where the Upper Bann meets Lough Neagh. The sleepy scene which greets visitors today betrays the historic importance of this waterway to the economy of this part of Ireland. The Upper Bann was once a critical link from inland agriculture and production around Lough Neagh to the sea trade port at Newry. 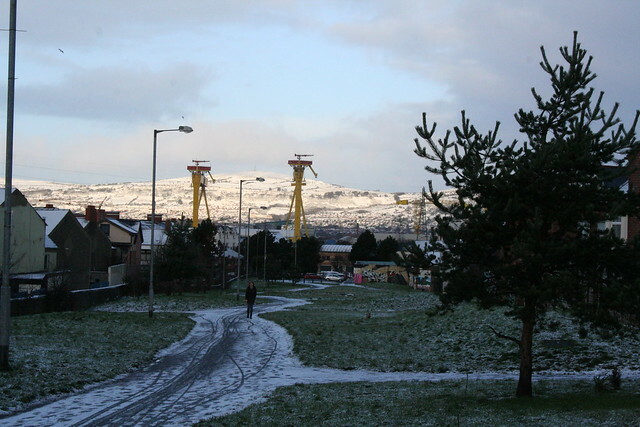 The Newry Canal which opened in 1742 supported barge traffic on the 30 mile trip. 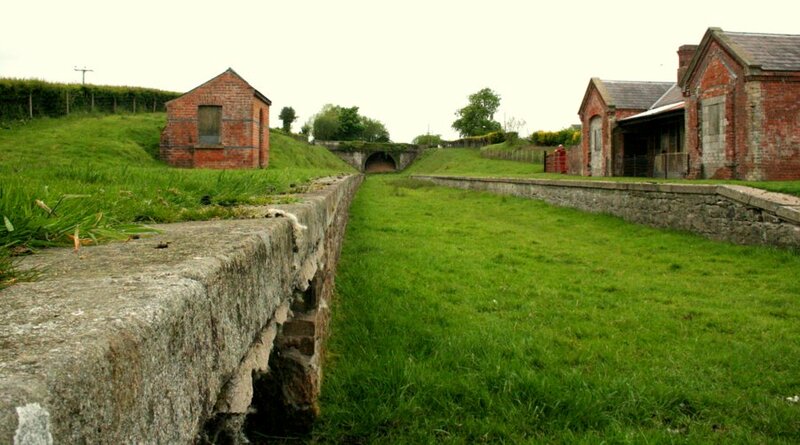 The canal (which has long fallen into disuse and disrepair, and is better known these days as a popular ‘greenway’ route) was for a time a key economic corridor in north-east Ireland. 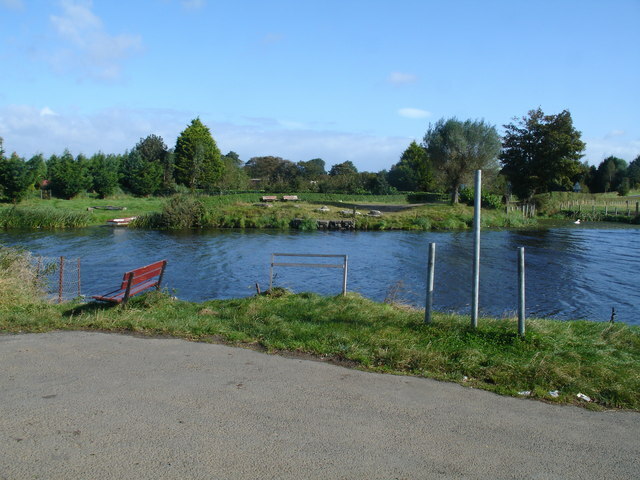 The route from Lough Neagh through to Newry – which links with the Ulster Canal through Coalisland into Armagh, and the Lagan Canal to Belfast – began at Bannfoot. Bannfoot (originally called Charlestown) has been a crossing point for centuries. A ferry is mentioned at least as far back as 1760 and a ferry service operated up until 1979 – that’s more than 200 years of recorded daily crossings. The NI Screen Digital Film Archive has a delightful 8mm colour film by John Stevenson, a businessman from Portadown, showing how the ferry moved passengers and (very brave) car drivers between the banks. However, today the Bannfoot Ferry’s jetties stand silent, and point to the anomaly of the Upper Bann – it’s the only river anywhere on the shores of Lough Neagh which isn’t immediately spanned. The river meanders for a good 9 miles through the County Armagh countryside until it encounters a pedestrian-friendly bridge in Portadown. The anomaly is stark when you look at the disconnection between neighbouring communities. Maghery and Bannfoot lie just three miles apart along the line of the Columbkille Road. But to get from A to B requires a shocking round trip of 18 miles by bicycle, or 16 miles by car using the motorway. Public transport is an option between Maghery and Bannfoot, but it’s not for the faint-hearted. Translink’s website gives only three journey options on a weekday, the quickest involving an eye-watering four buses taking one hour and 58 minutes. That may be seven minutes shorter than the quickest Belfast to Dublin train service, but the Enterprise is travelling over 100 miles rather than our three miles in question. 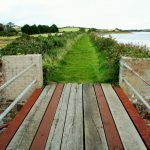 A similar traffic-free bridge in Maghery was installed in 2007 which turned an eight mile diversion to Tamnamore and back into a joyous skip (or pedal) over the River Blackwater. There is potential for modal shift – albeit very slight – but it does leave Lurgan, Lisburn, Belfast within striking distance from the south-west corner of Lough Neagh. The car trip from Maghery to Lurgan using the motorway is about 20 minutes – the equivalent cycle over a Bannfoot Bridge would be just 50 minutes. “It would be a much safer, quicker, quieter and picturesque crossing than navigating through Portadown town centre. “There are over 20 cycle clubs within 20 miles of the Bannfoot area and probably a further 50 clubs within regular striking distance but none venture this way because crossing isn’t an option… cyclists like a loop. Potentially that’s 5,000+ regular cyclists of all ages, abilities, backgrounds, including youth & families who could be crossing at the Bannfoot producing no emissions, no noise and no impact to the roads or the local community. “I understand there may be concerns from local residents but they can look toward the bridge at Maghery, operating now for 10 years. It’s been transformative for the area with walkers, cyclists and anglers crossing daily and no negative impact whatsoever. 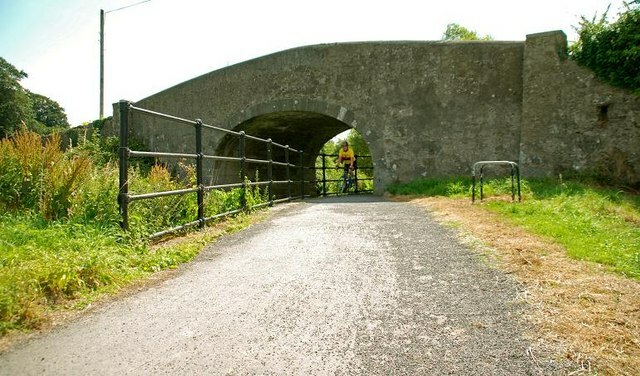 “A footbridge at Bannfoot would make the Loughshore Trail a much better proposition for tourists too – like many local cyclists they’ve had to deal with the incredulity of cycling to the Bannfoot expecting a bridge – there’s permanent proof with one sorry fellow on Google Maps shown turning back in dismay. 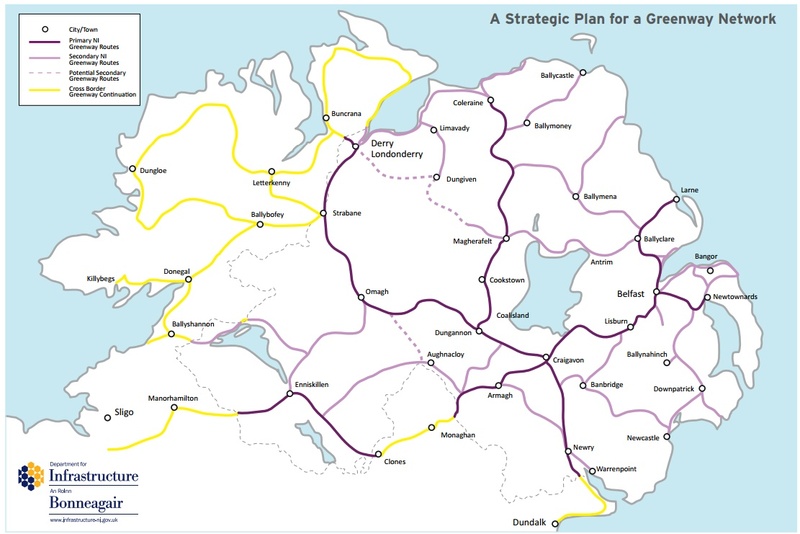 While the Department for Infrastructure’s Greenway Network Plan only includes the main Coalisland – Dungannon – Portadown – Lurgan route (follow it in yellow in the picture below) the original NI Greenways vision map included consideration of opening up the historic canal routes closer to Lough Neagh. The potential for cycling around this area is immense – linking quiet country roads to the existing Broad Water four mile path near Moira to the west, the existing Coalisland Canal Towpath to the east and perhaps a fully reopened Ulster Canal south towards the Fermanagh lakes and the island-wide inland waterway network. It’s also within the orbit of the best urban cycling network in Ireland – the Black Paths which weave their way through Portadown, Craigavon and Lurgan, giving area residents virtually traffic-free access to the Rushmere Centre and back. There may be another way to look at the current mad diversion though Portadown – it brings cyclists into contact with heavy traffic on the congested Bann bridge. Outside of Belfast and Derry, the Portadown / Craigavon / Lurgan area has the most reported cycling collisions in Northern Ireland. Two GAA clubs play on either side of the Bannfoot crossing – 2016 Armagh Senior Football Champions Maghery Sean MacDermott’s and High Moss Sarsfields GFC in Derrytrasna. The direct road with the addition of the Bannfoot Bridge would put exactly 5 miles between the two clubs. But it takes a 16 mile trip through Portadown by car for the several age groups from the senior teams to the under 14s to play the fixture at either ground. The bridge would enable players and families from the whole area to cycle and walk between the grounds for matches – saving a lot of petrol and adding the possibility of group cycles from one ground to the other. The bicycle trip between the grounds would actually be quicker than the car trip through Portadown – another example of why the bridge is a no-brainer? “We would very much welcome the development of the Bannfoot Bridge as it would lead to the linking of communities along the southern shore of lough Neagh”. The Bannfoot bridge is an opportunity to celebrate our industrial heritage with a permanent crossing at this point of historic significance. It would restitch and strengthen natural links between the communities of the Loughshore in two artificially and unnecessarily remote area. A cycling cafe could do roaring trade with the potential passing pelotons, and tourists would find even more reasons to visit this beautiful area. What do you think of the Bannfoot Bridge idea? Please take the time to leave your comments below and share through your social networks. Election season is a great time to contact your local MLA candidates to ask for their support! Bridging the divide is a series of articles proposing three investments which can boost active travel by linking communities divided only by the cost of a bridge. On the wild Atlantic north coast, the River Bann divides Castlerock and Portstewart – could a bridge invigorate the region’s tourism economy? An iconic bridge across the River Bann barmouth as it meets the Atlantic Ocean would directly connect two important tourist destinations, reducing the reliance on vehicle travel on the North Coast. 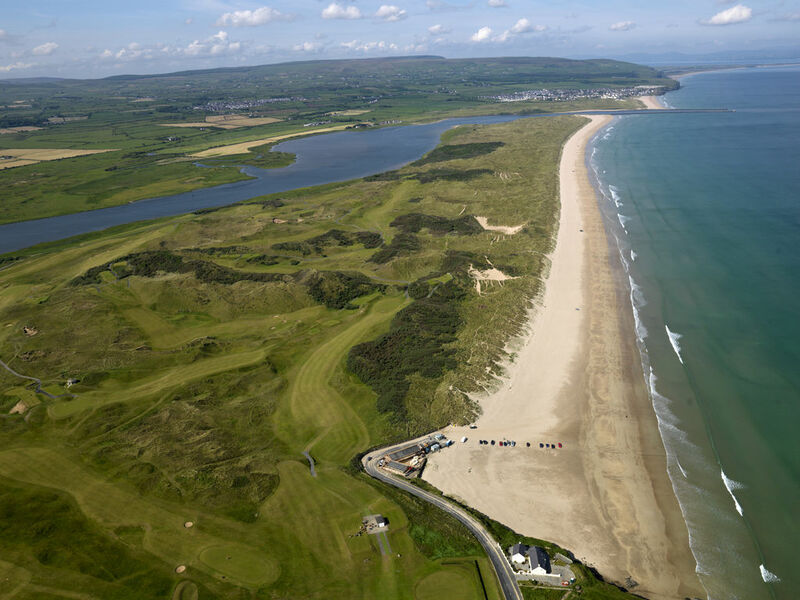 Castlerock and Portstewart are separated by just over three miles as the crow flies. Looking east from Downhill House the towns appear to sit side-by-side, with a sandy strand linking the two settlements. On closer inspection the River Bann poses a formidable barrier between the two. The Bann runs for 99 miles from Slieve Muck in the Mourne Mountains, through Lough Neagh and into the Atlantic here beside Castlerock. A barmouth constructed in the 19th century keeps the Bann open to navigation. Due to this physical barrier, travel between Castlerock and Portstewart means a road journey through Coleraine of about 11 miles. For a family of four that’s anywhere from £8 return up to £22 for a day travel family card (depending on your mode of travel and time of day) with up to two hours total travelling time out of your day – for little more than three miles as the crow flies. The alternative to this – highly attractive to local residents and the summer flood of tourists alike – would involve building a bridge across the barmouth. The shortest span at this point is about 190 metres, and a bridge would need to be high enough to maintain navigation through the Bann. On the Castlerock side the bridge would be approximately 800 metres from Sea Road or 500 metres from the end of the private caravan park behind the golf course. Across on the Portstewart side of the bridge, the 1.6 mile long strand is a challenging walk and an impractical (at times impossible) cycle or wheelchair journey. 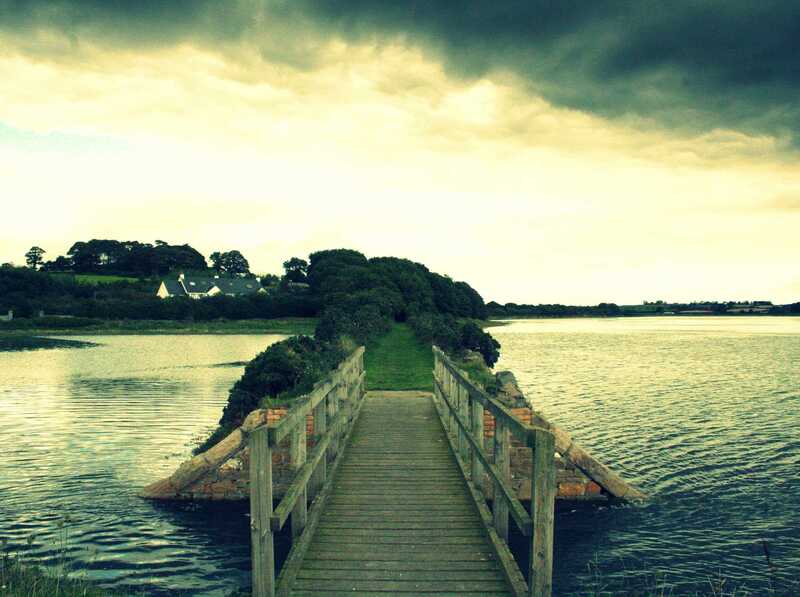 Both sides of the bridge have extensive sand dunes between the Bann and the towns. 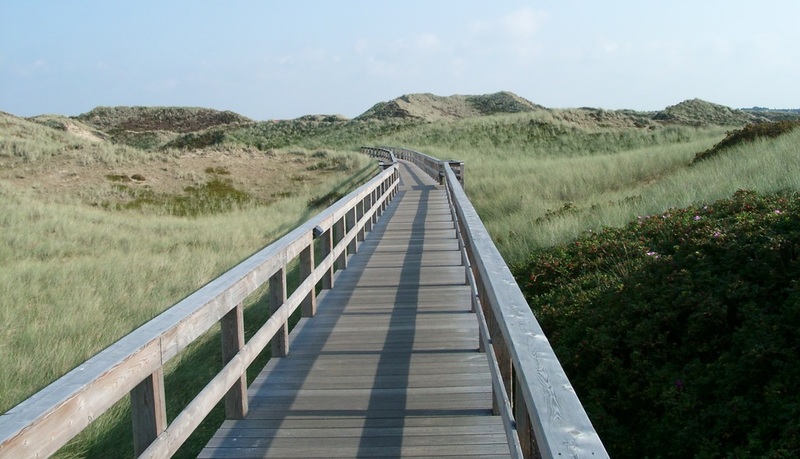 An environmentally sympathetic option – to provide high quality and practical access all year round – would be to use a three metre wide elevated boardwalk, suitable everyday cycling, wheelchair and mobility scooter journeys. Portstewart Strand is a National Trust managed property which currently allows vehicle access onto the beach, and is home to the world famous Harry’s Shack restaurant. The proposed 2.5 mile boardwalk route (including bridge) would put Downhill House and Mussenden Temple within a 4.5 mile cycle from Morelli’s on Portstewart promenade. There are already cycle hire companies on the north coast such as Causeway Cycle Adventures, but this type of medium distance route grafted on to existing seaside towns, major tourist attractions, and the existing traffic-free cycle route on towards Portrush, would surely support more local employment opportunities. Further on past Portrush the Department for Infrastructure is proposing to run its Greenway Network all the way to Dunluce Castle, Bushmills and the Giant’s Causeway. To the west lies Downhill, Binevenagh, Limavady and on towards Derry City and its growing greenway network. An Atlantic Gateway would bypass the long diversion into Coleraine – while also creating an attractive 13 mile triangular route between Portstewart, Coleraine and Castlerock. This bridge and route could bring immense benefits to local residents and visitors alike. It can actively displace a significant proportion of year-round resident and visitor journeys from cars to bicycles, given the potentially identical travel times. It also opens the possibility of creating a new architectural centrepiece for our tourism offering with the Atlantic Gateway bridge itself. Minister for Infrastructure Chris Hazzard has set an ambitious £150 million plan to begin delivery of a 1,000km network of greenways across Northern Ireland over the next 10 years. The Primary Network of around 400km includes many of the main areas of population and reaches some major tourist attractions. It provides the basis for a connected regional network. The East – West (Larne to Belcoo) route includes the east section of EuroVelo Route 1 (between Larne and Craigavon). The North – South (Derry to Newry) route includes the west section. The Causeway Coast is reached via a Central route. There are seven individual sections to the Primary Network, estimated in the region of £60m to complete and the Strategy sets a target of 75% of this to be delivered within 10 years. There are 20 individual sections to the Secondary Network, estimated in the region of £90m to complete and the target is for 25% of this to be delivered within 10 years. “As the first Minister for Infrastructure my focus is on sustainable transport. 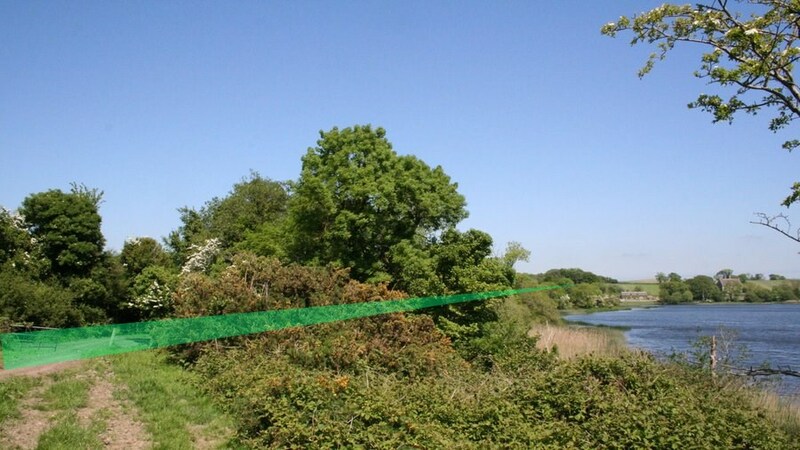 Greenways can make a huge difference to the daily lives of people by providing the opportunity to enjoy safe and easy access to fresh air and exercise, encouraging more people to commute to work by foot or bicycle, more children to walk or cycle to school, and provide a vital leisure resource for local people and visitors alike. “Supporting rural regeneration through the development of traffic-free greenways was a priority policy area in our Manifesto ahead of last May’s Assembly elections. “Across the UK we recognise the huge benefits these greenways have for local people. Greenways help to get people walking and cycling for leisure, commuting and school journeys. They also boost local businesses and have a wider tourism potential. So where is the money coming from? There’s no point in setting a vision without backing it up with the means to deliver. Luckily the Minister has already pushed the Strategy forward by inviting local councils to compete for grants to establish the initial stages of Greenways projects. Remarkably, all 11 local councils responded at Stage 1 with 27 individual project proposals. The competition ran over summer 2016 and 20 greenway projects were successful and will now receive £8,000 funding. 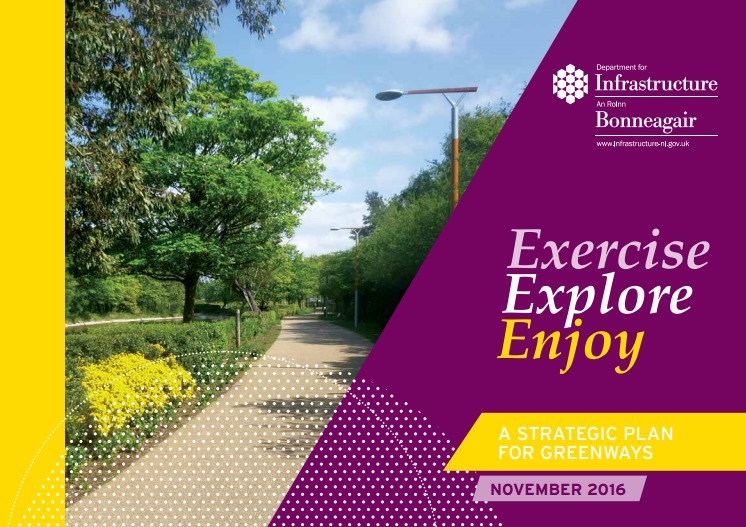 This total £160,000 in grants will enable successful councils to develop concept design options through a feasibility study for their proposed greenway schemes in Stage 2. For Stage 3 a number of the highest quality of these feasibility studies will be selected to each receive £25,000 to develop a full business case and detailed design for their proposal. The plans for major capital investment to deliver shovel-ready projects after Stage 3 will be worked on in the coming months. It’s an exciting day capping four and a half years of voluntary campaigning to raise awareness of the Northern Ireland Greenways vision. We now have central and local government working together on a plan to create a 1,000km network extending across the country and across the border. If delivered, this will be a welcome mat to the world, placing a traffic-free path network at the centre of our tourism offering, and regenerating communities all over the country – rural and urban, west and east of the Bann, north and south of the border. We should also be able to count on a smooth ride to delivery over the current Northern Ireland Assembly term, given that 77 of 108 returned MLAs pledged their support to development of a greenway network as party of the Election Cycle campaign – a tough promise to go back on, even in these heady days of opposition politics at Stormont. Personally I’d like to thank Chris Hazzard, his ministerial predecessors Michelle McIlveen and Danny Kennedy for driving this Strategy; Sustrans NI and Cycling UK for their support in the campaign; all the good heads in the GB Cycling Embassy, Cyclist.IE and various campaign groups I’ve been lucky to interact with; some excellent local politicians and the amazing Cycling Unit staff within the Department for Infrastructure. The first flourish of railway development in Ireland 150 years ago helped to establish towns like Newcastle into prime seaside tourist locations. While Bangor and Portrush still benefit from active railway links, Newcastle lost its rail connection in the 1950s. 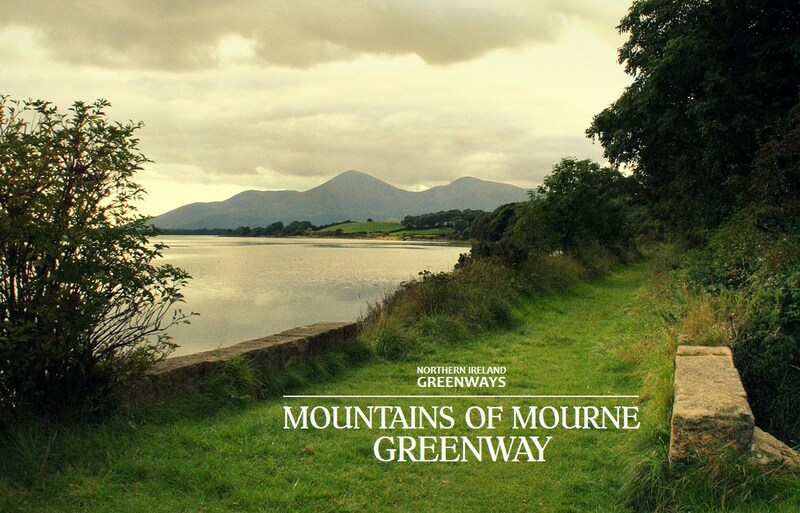 The time is right to build a 37 mile greenway sweeping from Belfast to the Mourne Mountains, to reimagine this once thriving tourist route. The Comber Greenway, our most well-known traffic-free pathway, is almost a decade old in its current form. 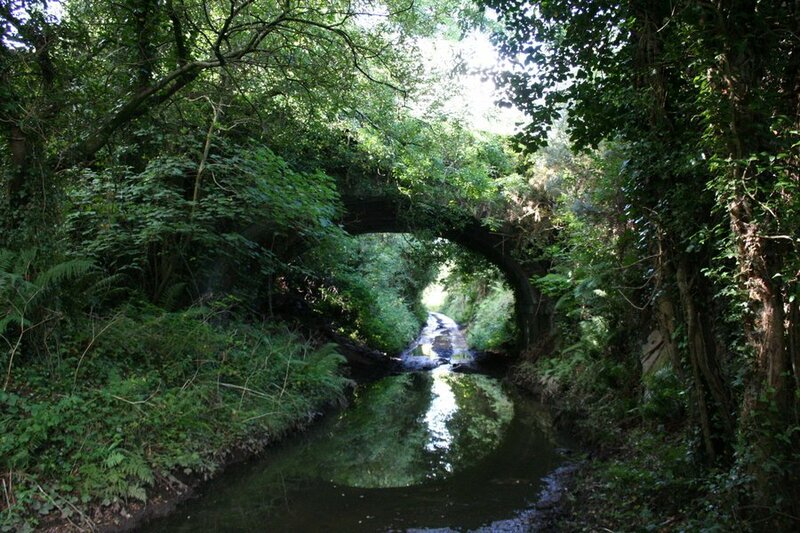 Stretching the seven miles from the centre of Belfast to Comber it provides wonderful access to the countryside for urban dwellers and commuting options for rural and suburban dwellers. 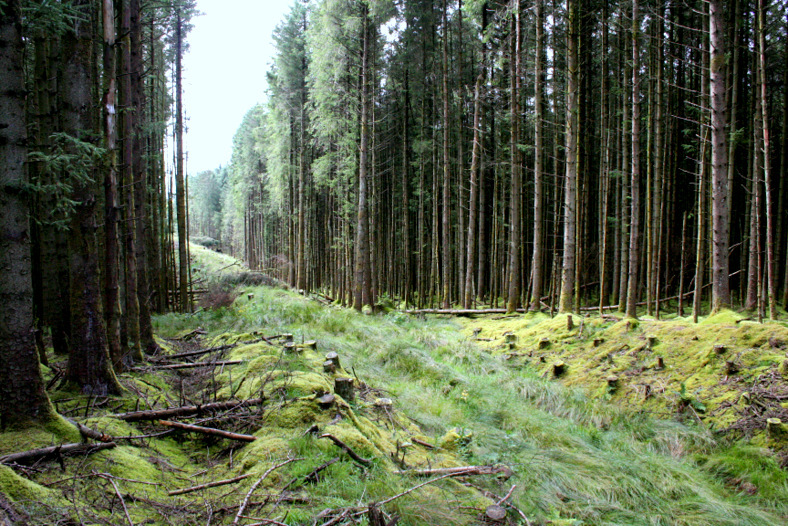 It was built on the track bed of the former Belfast and County Down Railway (BCDR) thankfully instead of a motorway. But the BCDR had operated 80 miles of railway, with five branches and the ‘mainline’ which stretched from Belfast all the way to Newcastle. 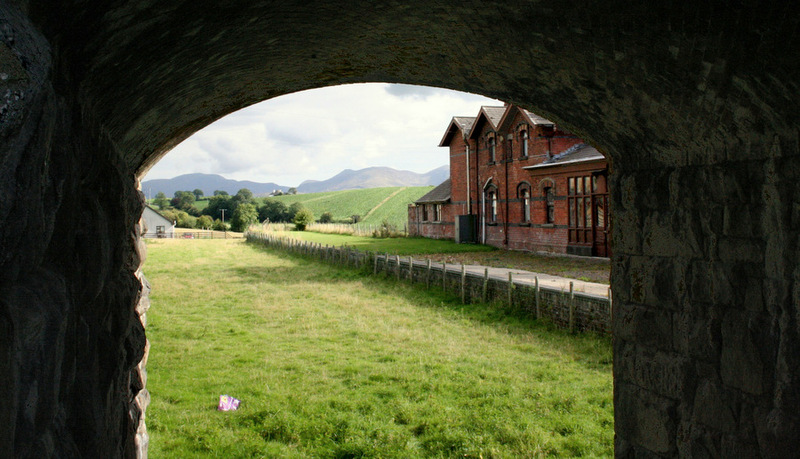 It’s this mainline which fires the imagination for development of a greenway from the big city to the big mountains. 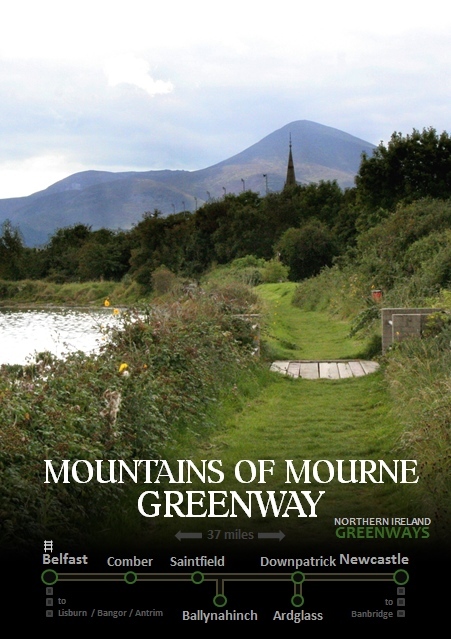 A Mountains of Mourne Greenway could stretch fully 37 miles from Belfast centre to Newcastle, passing through the towns of Comber, Ballygowan, Saintfield and Downpatrick. 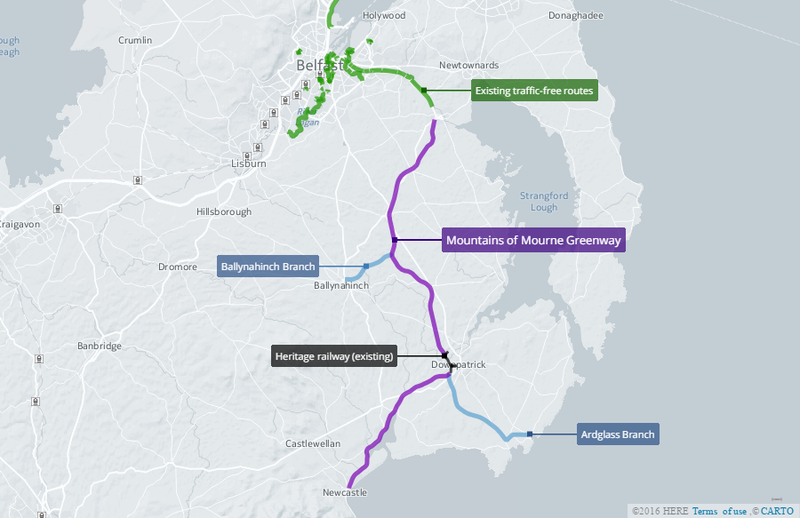 Two further branch lines to Ballynahinch and Ardglass takes this vision to a 50 mile network for leisure, tourism and utility cycling and walking. The relatively short distances between the main population centres (Comber, Ballygowan, Saintfield and Ballynahinch are in a line 13 miles long, while Downpatrick is just under 10 miles from both Newcastle and Ballynahich) creates strong potential for commuting to workplaces, short leisure trips and a practical alternative to using a private car for town-to-town travel. 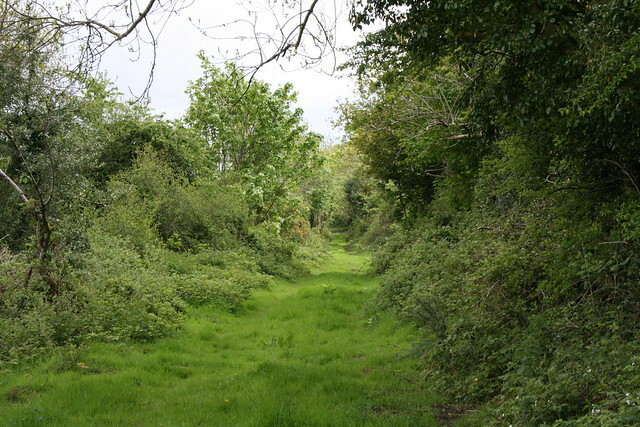 The track bed along the majority of the route is relatively intact, with the occasional section taken over for farmland over the last half century. Ballygowan and Saintfield, in the outer orbit of Belfast, stand to gain the kind of direct benefit to the local economy experienced in Comber as a result of a direct traffic-free link to the city. The beautiful Rowallane Garden on the southern edge of Saintfield is roughly 14 miles from Belfast by the proposed greenway route, making it well within reach for family outings by bicycle. The line continues south through Crossgar providing more town-to-town cycling options for locals. From Crossgar to Downpatrick several sections of the old line have been retained as dirt roads and private pathways which have the potential to be repurposed into high-quality greenway. The route enters Downpatrick across the Quoile river, joining Northern Ireland’s only working heritage railway, the Downpatrick and County Down Railway. 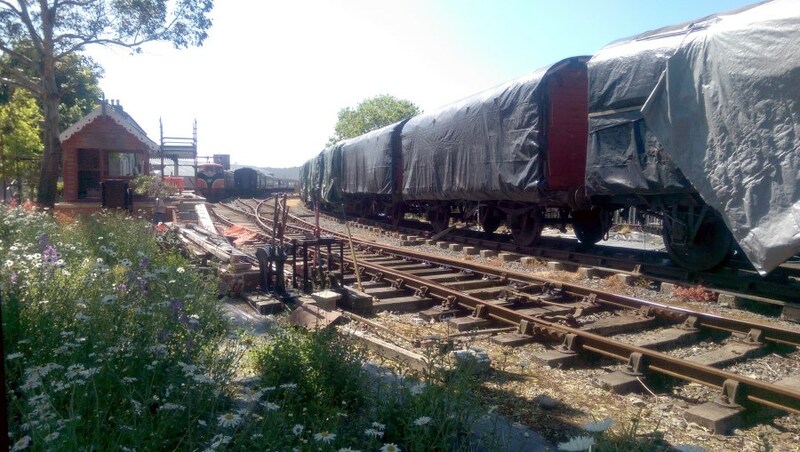 A link up with the heritage railway project is a fantastic opportunity to highlight a major tourist attraction, which can provide education on the history of the route of the new greenway. Downpatrick itself boasts Inch Abbey, Down Cathedral, regarded as Saint Patrick’s burial place, as well as the Saint Patrick Centre and the Down County Museum. Leaving Downpatrick the line passes through Ballydugan with the award-winning Lakeside Inn and The Mill at Ballydugan hotel, in prime position to be boosted by greenway users. Through Tullymurry lies an area of more recent historical significance with World War I training trenches dug into the Down countryside at Ballykinlar, as featured in Barra Best’s BBC NI series Walk The Line. Approaching Dundrum the tourism value of the greenway project begins to unfold in a big way. 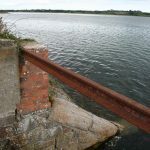 The Dundrum Coastal Path is an existing National Trust trail which utilises the old railway line as part of the wider 47 mile Lecale Way. Dundrum Bay lies at the edge of the Murlough Bay Nature reserve. 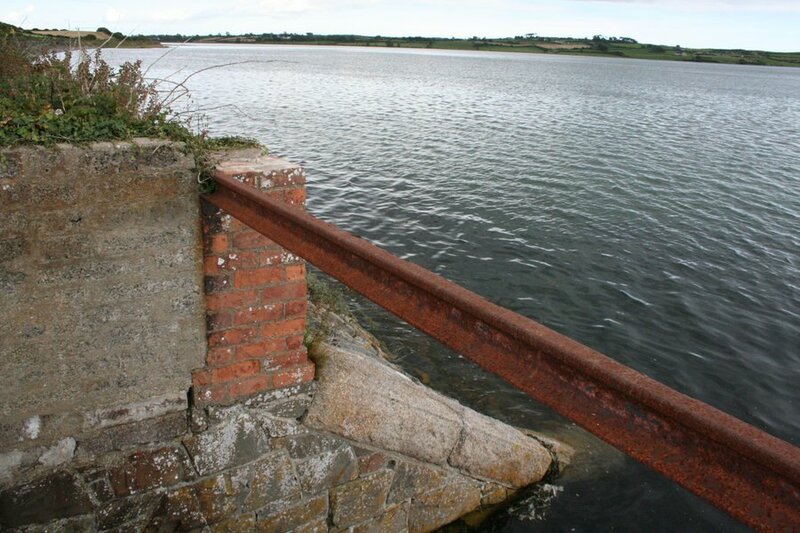 The railway line cuts across the bay as a couple of points, and one of bridges constructed to carry the constant flow of ramblers even includes original sleepers and rails. This spectacular section would need a sympathetic upgrade to greenway standard. 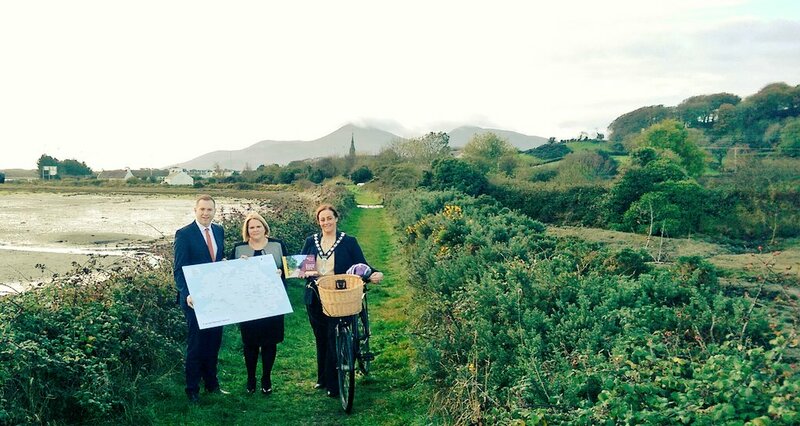 The route passes into Dundrum town, a wonderful stop-off for lunch on a day-trip down the greenway, including the internationally renowned Mourne Seafood Bar. Leaving the village, the line crosses the bay by bridge, with beautiful scenery as the Mourne Mountains begin to loom large. Continuing its winding path south west, the landscape changes to grassy dunes as it approaches the outskirts of Newcastle. Murlough Nature Reserve is the site of a popular sand dune beach for locals and tourists alike, and the nearby caravan park would benefit from direct traffic-free access to Newcastle town centre. The line skites between Royal County Down Golf Club (originally developed with BCDR assistance) and residential streets before ending at the Slieve Donard Resort and Spa and the old train station which still stands today. Newcastle and the surrounding area is a wonderful leisure location for short breaks by tourists and staycationers alike. Short stay accommodation availability lends itself well to a stop-off on a cycling tour holiday of the type Northern Ireland could successfully promote with a fully traffic-free greenway network. The outdoor activity market is rich in the area, with the Mourne Mountains providing hiking and mountain biking trails and the excellent Tollymore National Outdoor Centre nearby. Beautiful scenery, thrilling leisure activities, great restaurants, welcoming cafes, cosy pubs and world-class accommodation – building a greenway from Belfast to Newcastle is a signature tourism project which will promote the best we have to offer to the world and drive significant economic redevelopment in this part of the country. The town of Ballynahinch lies on the man road between Belfast and Newcastle and is notorious for traffic congestion. 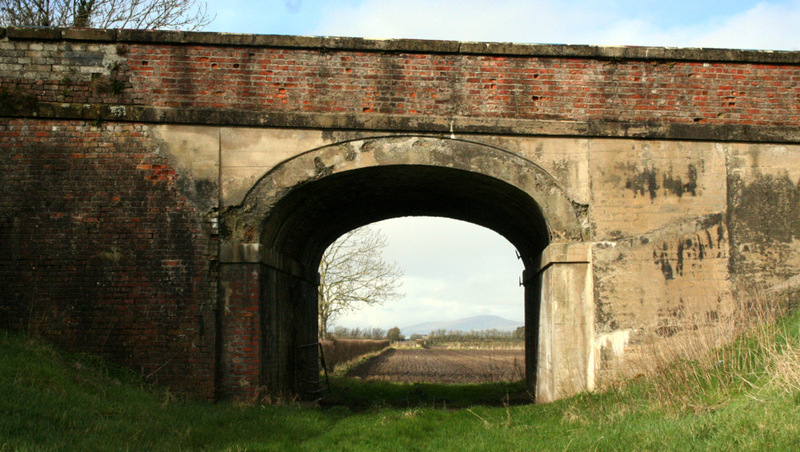 Running a greenway spur from the mainline at Ballynahinch Junction would offer some options for modal shift towards Saintfield and Comber to the north and Downpatrick to the south. A proposed road bypass of the town could cause issues for the preservation of a potential greenway route. 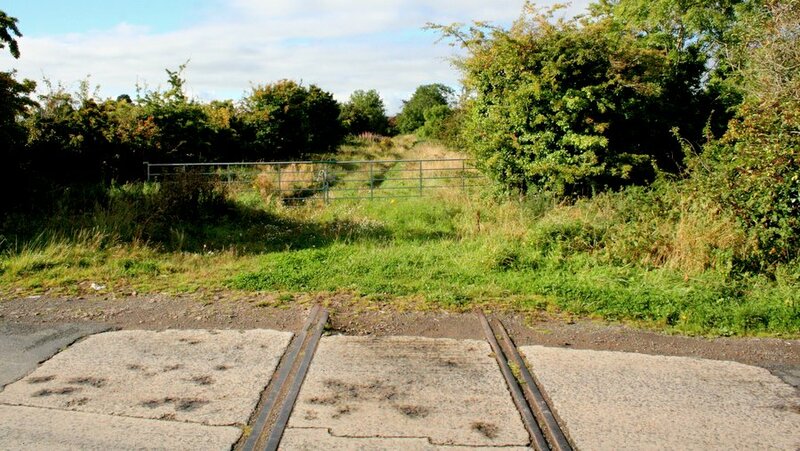 A grade-separated junction slated for the exact spot where the railway line passes under the Crossgar Road (picture above) and should the bypass go ahead, a greenway underpass should be designed in to ensure future development. 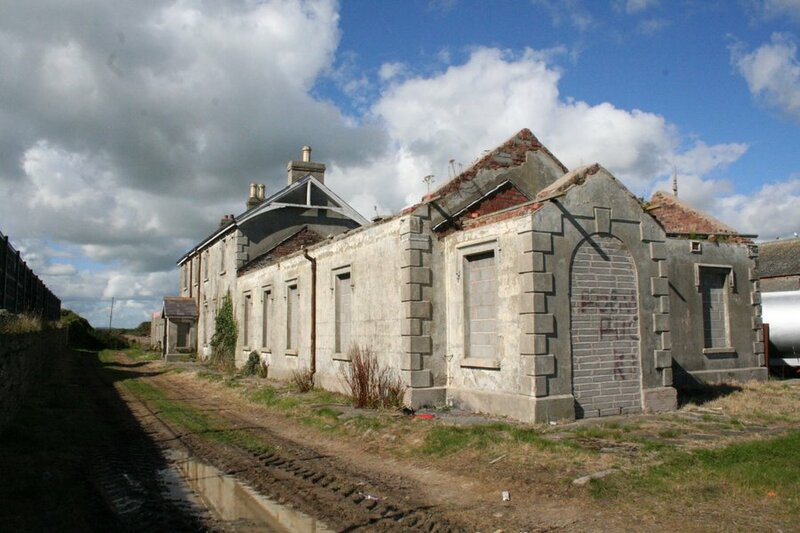 The former branch line to the fishing town of Ardglass is eight miles from Downpatrick. This section has been taken over by farming and development to a greater extent than the mainline, but local benefit could be derived from extending the greenway network to the coast. 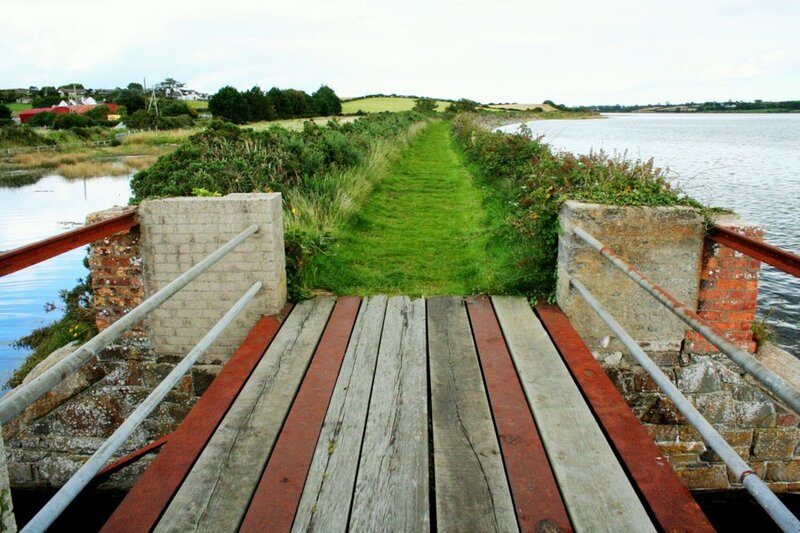 There is an opportunity for renovation and renewal of a coastal bridge on the outskirts of the village, a direct path to the Coney Island Caravan Park, and a chance to further promote the area to users of the marina. The old railway station still exists, standing beside a fish processing plant and crying out for some tender love and care – or a nice cafe at the end of a long cycle from the big smoke. @EssenceHealthNI @nigreenways It would be great for Newcastle. Very successful initiative in Republic. “@nigreenways: A dander or cycle from Downpatrick to Ardglass? 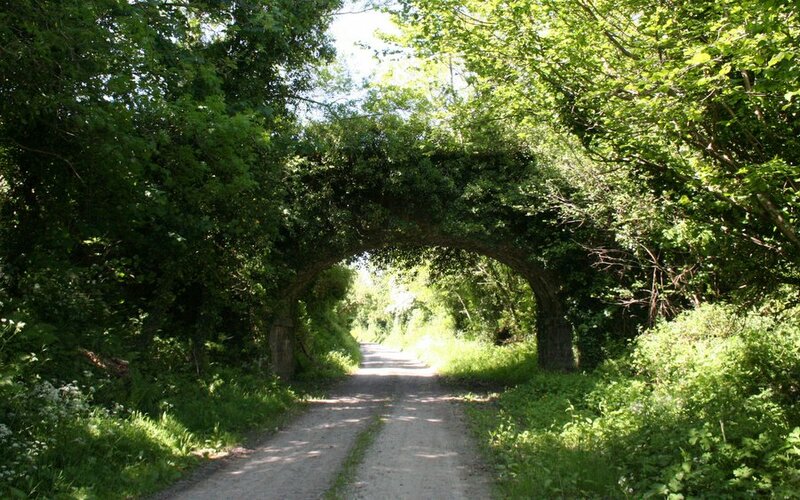 The former railway line could be developed as a greenway" – Already on it! @nigreenways Downpatrick to Newcastle! 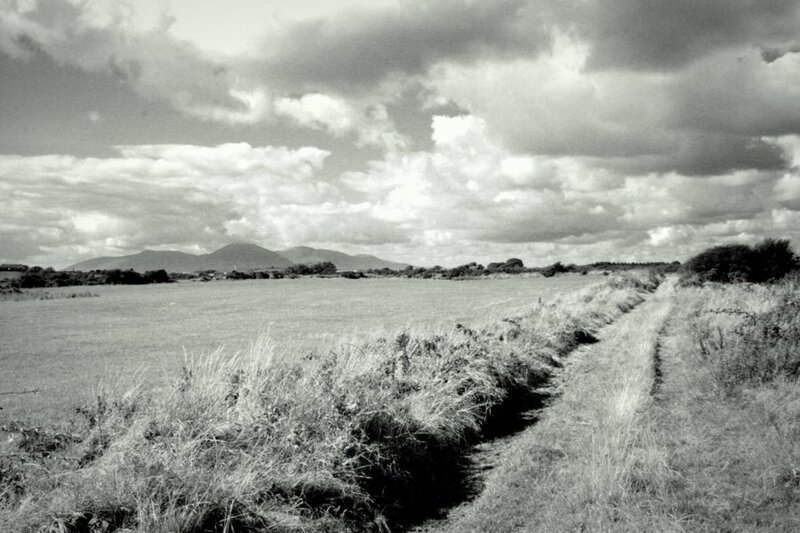 Love the Mournes! 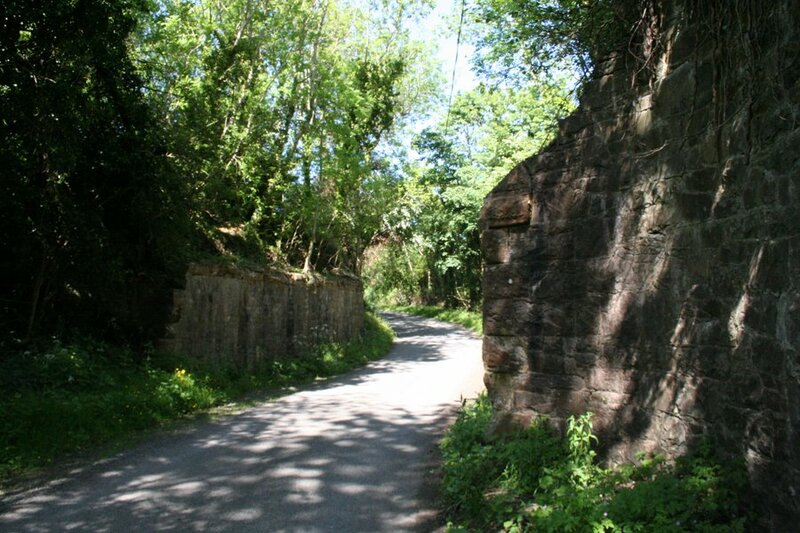 Transport Minister Michelle McIlveen has announced a small grants programme for the development of greenway projects across Northern Ireland. This competitive scheme is aimed at providing support for councils to work up projects that will be able to deliver a step change in greenway provision. “I am delighted to be able to announce this new initiative. As a user of the Comber Greenway I recognise the value of greenways. They are an excellent way to enable people to incorporate activity into their everyday routine – whether as a means of travelling or for recreation and leisure. These off-road traffic-free routes provide a safe environment to give people the freedom and confidence to use the bicycle for everyday journeys. Councils will be invited to express interest in the programme with a brief outline of the project or projects they would like to develop. Up to eight of those projects will be selected and provided with a small grant of up to £8,000 to enable them to develop concept design options, a feasibility study and a business case. Up to four of those projects will be selected and provided with a small grant of up to £25,000 to develop their designs in more detail and to provide a fully worked up project bid for assessment. Excellent news as the greenways vision for Northern Ireland gathers momentum towards the 2016 Assembly elections. There are at least four of 11 local councils already actively engaged in feasibility studies or with project plans at advanced stages, so this competition can help to encourage more areas to consider the economic possibilities of greenway development. I understand the Department will look to ‘devolve’ the creation of greenways to councils, while retaining an overarching role in standardisation of route quality, signage and so on. Exciting times for Northern Ireland. And so begins the revolution..
Just five months after the launch of the 25-year Bicycle Strategy for Northern Ireland, work will start next week on the first dedicated cycle routes devised by Minister Michelle McIlveen’s DRD Cycling Unit. 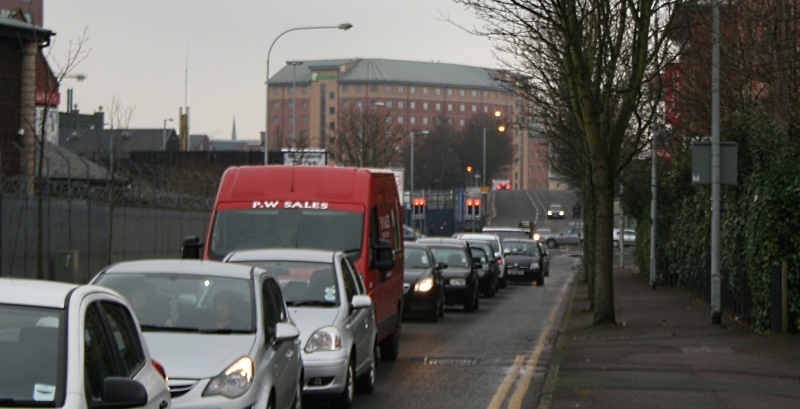 The initial sections of a cross-Belfast route and a major overhaul and extension of the infamous Bin Lane are expected to be completed by March 2016, costing up to £800,000. Section 1 will connect three Belfast Bikes stations with a traffic-free protected cycle track, while obliterating the two most famous cycling infrastructure landmarks in Belfast, Cyclesaurus the idiosyncratic dinosaur tail cycle lane and the Bin Lane. Sections 2 and 3 will create a new bicycle route servicing an area of the city with low cycling uptake. Sections 4 and 5 are due to follow by the end of 2016. These are officially being treated as pilot routes, giving the Cycling Unit the ability to change elements which aren’t working or need improved. However, the high quality nature of the design shows a determination to set new standards, leaning on best practice from abroad, and the first application of London Cycling Design Standards in Northern Ireland. Alfred St to be made one-way northbound with a cycleway protected by bollards extending the 0.5km from Chichester St to Ormeau Ave. This will create a 1.1km traffic-free route between NCN Route 9 and the city centre, linking four Belfast Bikes stations and sending a reminder about the need to build the Gasworks Bridge. It will finally obliterate the mess of Cyclesaurus, and reboot the Bin Lane to prevent the daily incursion of delivery vehicles from embarrassing Belfast. The Ormeau Ave entrance to Alfred St will be made into a continuous footway to prioritise pedestrian and cycling movements. 19 on-street parking bays will be removed to provide space for the new cycleway running past the entrance of the Premier Inn Hotel. Will this prove to be one of the more controversial elements of the plan? The popcorn is on standby.. The junction of Alfred St with Franklin St / Sussex Pl remains the busiest and riskiest junction for cycling on the route. Making Alfred St one-way reduces the total possible vehicle movements on the junction from nine to seven, and with continuous cycle priority across the mouth of Franklin St it may improve safety. I suspect it won’t be long before Franklin St is stopped up to vehicles here, but that is a battle for another time and another (ongoing) consultation. 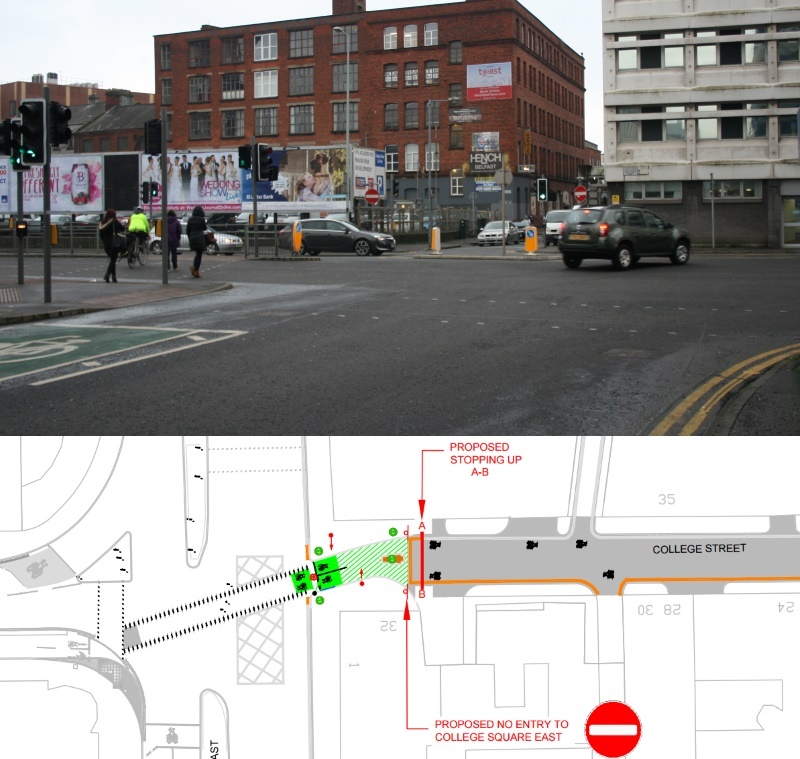 The May St junction will now have a straight-ahead view (removing the traffic pole clutter and cycling slalom effect) with separate crossing for those on bicycles and pedestrians. Vehicles emerging from Alfred St will now be banned from making left turns towards the City Hall. Given the crossing phase is likely to coincide with this green light, it will be most interesting to see if this is observed. And then to the Bin Lane – why is work necessary to this kerb-separated cycle track? Just take a look at the #BinLane hashtag over on Twitter to find out. The kerb will be removed in favour of a consistent design approach of bollards along the length of the scheme. More controversy (and popcorn) but this time from cycle campaigners? The comments are open..
New loading bays created in place of paid on-street parking on Upper Arthur St (directly below a 472-space multi-storey, for context) will accommodate commercial needs. The intention of bin owners is unclear at this stage. To misquote The Dark Knight, this protected cycleway is not the plan Alfred St and Belfast’s Linen Quarter deserves, but it is the one it needs right now. With more place-appropriate measures like side street blockages, removal of most on-street parking and cellularisation with area-wide one-way restrictions for motor vehicles, perhaps 90% of circulating and through-traffic could be removed from these streets. That is the way to humanise the whole area – choked as it is by cars searching for on-street parking spaces – and would make separate space for cycling unnecessary. Any bollard v kerb debate should bear in mind that realistic end goal. But for now, until that plan can be argued for and achieved, mode separation will help to make cycling more attractive. This represents the first half of the cross-city route which will straddle the city centre from (almost) the Royal Victoria Hospital to Titanic Quarter Railway Station and the greenway network beyond. Slightly disappointing is the Grosvenor Rd section itself, which will be a shared footway. Once the route is established and seeing regular bicycle traffic (which the expansion of Belfast Bike Hire further up the Grosvenor Rd to the Royal Victoria Hospital guarantees) the Cycling Unit should be given the budget to create a cycleway ramp to Wilson Street. This would significantly cut the journey time and amount of shared used footway on the route, and liven up an otherwise silent street choked with ‘free’ parking. Around the corner to Durham St and the beginning of the protected two-way cycle track, to be built utilising roadspace rather than footway. 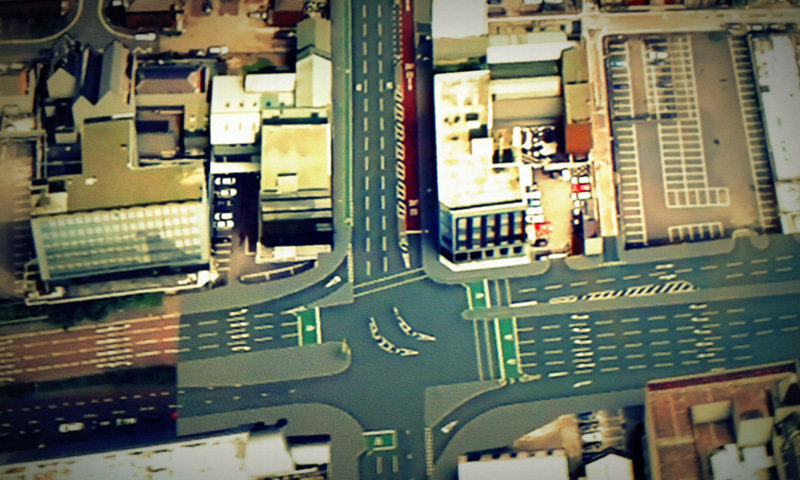 The mini roundabout at Barrack St (an earlier measure to reduce rat-running and to humanise these streets) will be replaced by signalled-controlled crossings, flipping bicycle users to a bollard-protected cycle track on the opposite side of the road. At the junction of College Sq N and College Ave, a bold decision has been taken to rework traffic movements to create a bicycle priority junction. A low-level bicycle signal and dedicated crossing phase matching in with traffic turning left out of College Sq N will ensure bicycle users are treated like kings and queens of the road. And over on College St, traffic mostly emerging from a surface car park will no longer have that option. The street is to be stopped up to vehicles, becoming a “bicycle street” with minimal interactions with vehicles expected. This again is radical, should be applauded, and will provide evidence for similar options around the city. Onto Queen St and there is another bollard-protected cycleway – it may feel like overkill on a street which has seen so much traffic removed over the years, but serves a key purpose as a contra-flow to the one-way system for vehicles. The wider plan is for a traffic-free route all the way from Falls Park, traversing (if possible) Bog Meadows, meeting the cycleway beside the Westlink (and very likely a branch into the new Belfast Transport Hub) then across the city to meet the greenway network which is currently spreading over East Belfast, and the ‘spine’ of Belfast cycling, the traffic-free NCN route 9 from Lisburn to Newtownabbey. These last sections are planned to begin sometime in the Autumn and expected to be finished by the end of the year. The High Street section is undergoing a major rework following consultation feedback, but the impressive removal of a lane of traffic on Middlepath St to create a new two-way cycle track will still set a high water mark for cycling development. The shadow boxing ends – the Cycling Unit is two years old, the Bicycle Strategy for Northern Ireland is now operational and we arrive at the Delivery Phase. Hallelujah! It is important to set these route announcements in context – the Belfast Bicycle Network Plan and Bicycle Strategy Delivery Plan have yet to be finalised and published by the Cycling Unit. The Minister and her team should be commended for pressing on despite the scant budget at their disposal to date. If this project signals a Seville-like determination to just get on with building dedicated routes, the future for cycling in Northern Ireland looks bright. *Note: the section drawing are not the final, final plans but an earlier version available here. Two student accommodation blocks approved by Belfast City Council planners promise a radical shift towards bicycle use in the city. The two buildings on Great Patrick Street and York Street, just beside the new Ulster University Campus on the northern tip of Belfast City Centre and due to open in 2018, will provide just 18 car parking spaces for over 1,000 residents. Instead, along with a heavy reliance on walking, the Metro network and proximity to York Street railway station, a remarkable 345 secure bicycle parking spaces will form the backbone of the transport needs of students. This 11 storey building will provide 475 student rooms. The ground floor will include a retail unit and a parking area. The plan is for just 12 car parking spaces (2 of which are disabled accessible) and a whopping 194 bicycle parking spaces. Patton Developments 475 bed student scheme (next door to Uniciti) on Great Patrick Street approved. “We actively encourage the use of alternative travel methods than the car. There will be a provision of secure bicycle storage spaces for the student accommodation. This storage will have secure access arrangements and CCTV coverage to enhance levels of security and safety. This 14 storey development will provide 682 individual purpose built en-suite bedrooms and studios. On the ground floor there will be two retail units and a secure parking area. However just six car parking spaces (one disabled accessible) are included, with a very decent 151 cycle spaces for students and staff. “to reduce the number and length of motorised journeys and help encourage alternative means of travel with less environmental impact than private car usage. Uniciti's 682 bed student scheme on York St/ Great Patrick St approved by Belfast City Council (opposite new UU campus). It will be interesting to see if one cycle space per accommodation unit might be a better policy for this type of student development – time will tell and the car spaces are there for conversion. 😉 However the direction of travel for this area of Belfast is clear – the bicycle is being established as a normal, everyday mode of transport for a large proportion of the thousands of students due to take up residence from 2018. 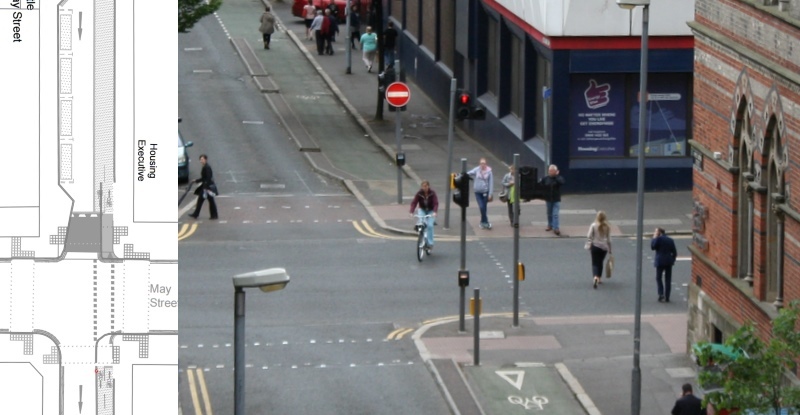 The successful Belfast Bikes hire scheme will expand to cover this entire section of Belfast over the next few years, while relentless and incisive lobbying has ensured some excellent cycling provision in the adjacent York Street Interchange scheme. The message to government is clear – you need to start funding and creating high quality space for the cycling journeys being created here. It’s no longer some abstract hope – this is a culture shift in action. Seeing private developers promoting cycling above the private motor car in flagship new builds shows there’s a slow and inescapable evolution of Belfast underway. Over to the big ticket Cycling Revolution projects now.. The early and perhaps surprising success of Coca-Cola Zero Belfast Bikes has seen continual demands for expansion. Before Belfast City Council announces the official ‘Phase 2’ of the project, expansion is already being driven by a series of partnerships with organisations across the public, private and academic sectors. Northern Ireland Greenways can now reveal firm plans to grow the bike hire scheme to at least 45 stations across Belfast. Belfast Bikes launched in April 2015 with 300 bicycles and 30 stations dotted around the inner core of Belfast. The capital costs of £1.1m were provided by the Department for Regional Development (DRD), with Belfast City Council committing to administer the scheme until 2020. Nextbike were chosen to provide the bicycles, station infrastructure and systems, while NSL won a 3-year contract to run the day-to-day operations. Coca-Cola Zero are providing £100k a year to sponsor Belfast Bikes for the first 3 years. 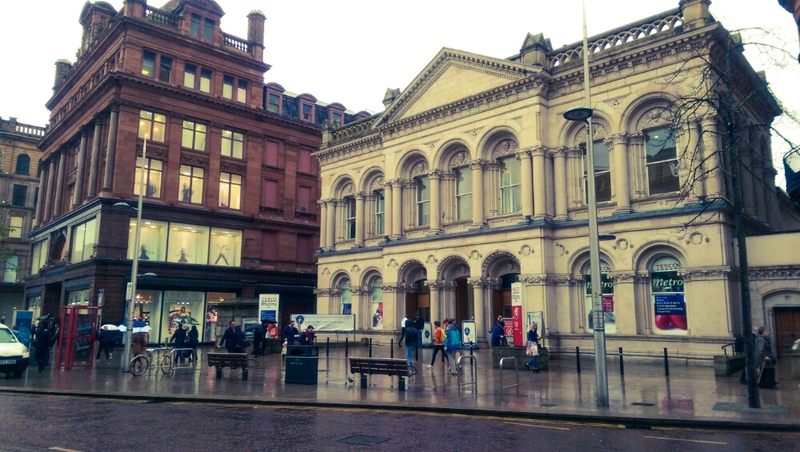 The initial scheme layout faced some criticism for its city centre limitation, although in Belfast the geographical coverage of any major public investment can be sensitive. The decision to focus on the inner city, driven mostly by the need keep a dense pattern of stations within 300-500 metres of their neighbours, paid off when user numbers and usage levels grew steadily over the summer of 2015. By October 2015 the signs of success were clear – 100,000 hires within 6 months, with a favourable comparison to Glasgow’s scheme taking 14 months to reach the same total with more stations, bicycles and subscribers. Belfast had a genuine good news story and the political support to green-light expansion plans. Before undertaking a major expansion with ‘Phase 2’ (plans expected to reach Council by Summer 2016) Belfast City Council have been able to partner with external organisations to provide an interim expansion of docking stations. This saw Queen’s University fund the establishing of 2 stations within its grounds, and Titanic Quarter Limited doing the same for a dock near Titanic Belfast. All 3 stations opened in November 2015 and 30 extra bikes brought Belfast’s total fleet up to 330 by the start of 2016. But further expansion is on the cards with more organisations offering capital funds to create new stations. Negotiations are underway between the Council and Belfast Health and Social Care Trust (BHSCT) to provide stations at its 3 main hospitals. Sustrans has already launched its offer of free on-road cycle training for BHSCT staff to encourage Belfast Bike Hire registrations. These docking stations should be approved by the Council’s Strategic Policy and Resources Committee (SP&R) on Friday 22nd January 2016 with shovels breaking ground within months. The Department for Social Development (DSD) also wants Belfast Bikes to form a key part of their inner city regeneration schemes, Building Successful Communities (BSC), in the north and west of the city. The DSD schemes on the Lower Falls and Lower Shankill are also expected to be approved by the SP&R Committee this Friday. However the Lower Oldpark proposal could be shifted closer to the city centre (and within a workable range of the main Belfast Bikes footprint) by switching focus to the new Girdwood Community Hub beside the Mater Hospital and Crumlin Road Gaol. The lead time is likely to be slower for the DSD proposals with further approvals needed by the 3 individual BSC Forums. Another sign of the success and importance of the Belfast Bikes scheme is growing private sector interest. The approved planning application for a new Allstate NI office beside Belfast Central Station includes a £25,000 commitment for the establishment of a Bike Hire station at Maysfield. Allstate has form as a company promoting sustainable transport in Belfast, winning the 2014 Fréd Festival Award for Best Large Employer for Cycling. With various regeneration schemes and new builds around the city over the next few years, expect many more organisations to step in, taking some of the capital funding burden away from ratepayers in a win-win arrangement for the city. As we near election time the shining success of Belfast Bikes can only help to highlight the demand for cycling in Belfast and with it the need for investment in safer, dedicated infrastructure. Seeing big employers recognising the value of cheap, flexible and congestion-busting transport around Belfast is heartening too. Belfast City Council’s next step into ‘Phase 2’ holds risks, but the popularity of Coca-Cola Zero Belfast Bikes cannot be doubted and should justify a bold expansion over the next 18 months. For more analysis of the Belfast Bikes scheme see this excellent report by Niall McCracken at The Detail – The gaps in Belfast’s cycling network – from November 2015. Belfast’s 7 large grocery retailers are not doing enough to support customers who want to shop and cycle, a survey of supermarket cycling facilities has found. The survey reports that there are just 100 bicycle racks outside Belfast’s 40 supermarkets, and almost half of Belfast’s supermarkets have no bicycle racks at all. This poses a significant barrier to the success of ongoing efforts to encourage more people to cycle in the city. In November and December 2015, NI Greenways travelled to all 40 of Belfast’s main chain supermarkets – Asda, Dunnes Stores, Iceland, Lidl, Marks and Spencer, Sainbury’s and Tesco – to check how easy it is to pop in when riding past on a bicycle. This was inspired by a long, frustrating (and still ongoing) Twitter exchange with Lidl NI over their lack of bicycle parking at Castlereagh. But what was the situation elsewhere in Belfast? And why focus on supermarkets – surely they’re only for doing the ‘big shop’ which needs a car? I dread to think how many small convenience stores I’d have to visit – so for this study I’ve left out Centra, Mace, Spar, Supervalu, Russells etc and smaller versions of supermarkets such as Tesco Express. Strangely, Forestside sits outside Belfast City Council but is definitely a ‘Belfast’ shopping centre so makes it into the survey – stores in Abbey Centre and Dundonald don’t. One of the great benefits of cycling (and this has been shown in studies around the world) is the ability to stop at small independent stores and do more shopping, more often, in smaller batches. ‘Cyclists’ are great local shoppers. As well as independent retailers, most supermarkets in Belfast are on the main arterial routes, and whether through larger products ranges or competitive pricing, they’re occasionally on my list of stores to visit. However, trying to find somewhere safe, secure, well-lit and sheltered to lock a bicycle can be a challenge at many supermarkets. Sub-standard bicycle racks – or being expected to lock up to a lighting column, fence or trolley rack – feels a little bit insulting in clear sight of vast, beautifully-manicured car parking, or trolleys insulated from the elements. So I devised a scoring system, based in part on Planning Service recommended standards for bicycle parking from 2005 (after which some of these stores were built or redeveloped), to benchmark the city’s supermarkets. This system means supermarkets can be independently rated against a consistent benchmark out of 7 points for the quality of facilities laid on for customers arriving by bicycle. A score of 6-7 would identify a store offering adequate to good facilities, not necessarily exceptional. It also allows for an average score across each brand’s stores to be worked out, to determine which chain offers the best facilities overall. 17 out of 40 Belfast supermarkets have no cycling facilities whatsoever. Tesco provides around half of all the supermarket bicycle racks in Belfast. Just 5 of the 23 cycle parking areas in Belfast supermarkets have direct and visible CCTV coverage. A reasonable 17 of the 23 cycle parking areas are close to supermarket entrances. Just 9 of the 23 cycle parking areas have some shelter, although this covers 48 of the 100 racks. 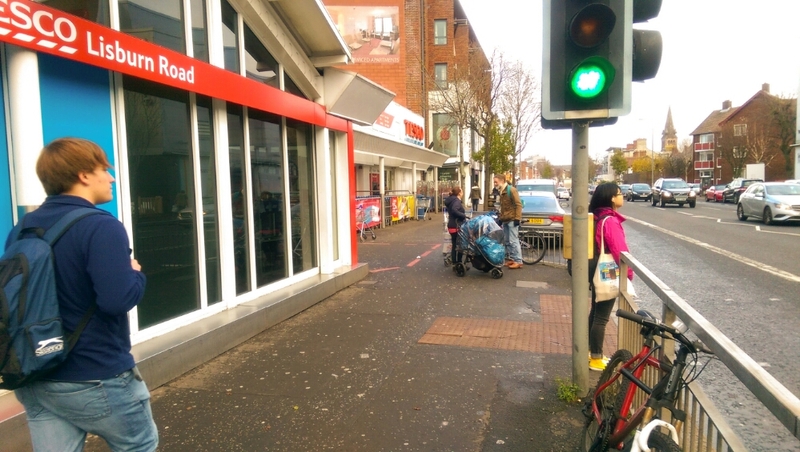 While the best individual supermarket is located in South Belfast, the area with the best overall ranking for supermarket cycling provision is North Belfast – this runs counter to cycling commuter patterns in the city. 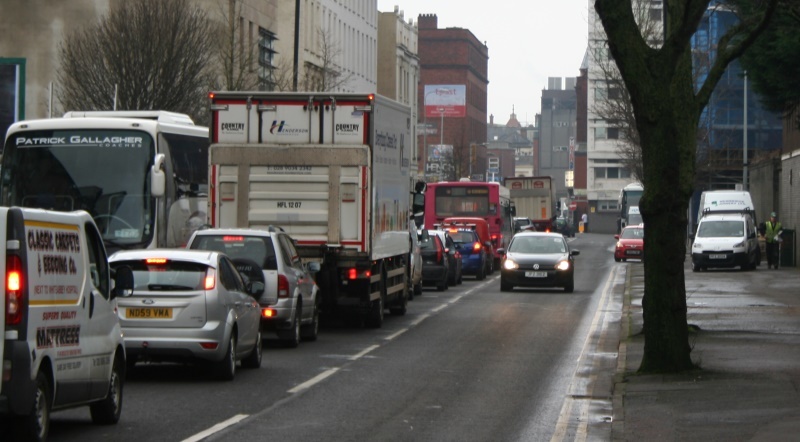 Out of a total possible score of 280 across all supermarkets, Belfast scored just 69 points – this means Belfast supermarkets are doing less than a quarter of what’s needed to provide adequate cycling facilities. Just 1 out of the 22 stores with bicycle parking offers any additional services to customers arriving by bicycle. With an average score of 4.5 out of 7, Sainbury’s is the clear leader in cycling provision. Sainsbury’s 3 stores at Forestside, Kennedy Centre and Knocknagoney have just 14 racks between them, but the quality, security, proximity to store entrances were a cut above the rest. Sainsburys and Dunnes Stores are the only supermarket chains with bicycle parking outside all of their stores in Belfast. Although Tesco provides half of all the supermarket cycling racks in Belfast, the quality of their bicycle areas was not as consistent as Sainsbury’s. Iceland is the only supermarket in Belfast with more stores than bicycle racks and, along with Dunnes, may not have been directly responsible for installing any of the cycling facilities which happen to be outside their stores. Lidl’s only bicycle racks are designed to lock front wheels, rather than the recommended Sheffield-style stands. Tesco Newtownbreda just pips Sainsbury’s Forestside to this title. Both stores scored 6 out of the maximum 7 points, but Tesco’s 15 racks and CCTV coverage tip the balance towards this superstore in south Belfast. Just one, Sainsbury’s Forestside – offering a rent-a-lock service in case you’ve forgotten to bring yours. How does my local store rate? Supermarkets position themselves as key social nodes in our urban life, and they do play an important role in the fabric of communities. While it’s desperately important to use and support our smaller independent retailers, supermarkets can influence wider travel habits by taking a lead and making the bicycle a more attractive option. The investment required is tiny compared to some of the big supermarkets’ trading profits posted in recent years, and the space needed doesn’t seem to be lacking either. Re-purposing just 2 car parking spaces gets you into double figures of bicycle racks. Good quality and attractive bicycle parking facilities should be an obvious choice for a responsible retailer interested in building good links with the local community. And the more people we can encourage to shop here and there, safe in the knowledge their bicycle is safe outside while their custom is valued inside, the more footfall we can drive to our smaller local shops too. We’ll return to the same stores next year to see what’s changed and aim to give a 2016 Fréd Award to the Most Improved Supermarket. Whether succeeding or failing right now, individual benchmarks have been set – who can be the shining light in Belfast next year? Note: Visits to each of the 40 supermarkets in Belfast were made in November and December 2015 and facilities (or lack of) were recorded as observed at the time – NI Greenways is happy to correct any errors identified in this survey. *This post was updated on 9/12/15 to amend the score of M&S Boucher as that store’s 2 racks were missed on the initial visit. This changes the overall M&S score from 1 out of 7 to 1.4 out of 7. This did not affect the original overall 4th place rank of M&S on the league table. Over November and December 2015, Northern Ireland Greenways surveyed cycling facilities at the 40 chain supermarkets in Belfast. Tesco’s 8 major supermarkets were included, along with the flagship city centre Metro store at Castle Place. For consistency across the survey, smaller Tesco Express stores were excluded. This system means we can independently rate any supermarket against a consistent benchmark out of 7 points for the quality of facilities laid on for customers choosing to arrive by bicycle. A score of 6-7 would identify a store offering adequate to good facilities. So how does each Tesco store in Belfast rate for cycling facilities? 2 points for Tesco Antrim Road, for 5 racks and proximity to the entrance. However there are big problems here. For a start, there are only 2 usable racks here due to their position (park your bike one way, you render the racks on the other side redundant). Then there’s the strange decision to place the red racks in direct conflict with a blue badge car parking space. So no marks for quality, and despite the position near the entrance, CCTV coverage would go a long way to improving the feeling of security, with the racks being needlessly tucked away in a dark corner. Just 3 racks but an impressive 5 stars for Tesco Ballygomartin – what gives? There is plenty to praise here – although there is a small walk to the entrance, it’s close enough for a point, especially given the double-whammy of safety. There’s a CCTV camera in clear sight of the racks as well as the large windows looking into the till points – you would need a real brass neck to attempt to steal a bicycle here. Add in good shelter, half-decent quality of racks and you’re a few additional racks away from challenging the very best in Belfast. 2 points for Tesco Metro Castle Place – are these racks owned and installed by Tesco or government agencies in Northern Ireland? For this survey it’s not so important – the ability to lock your bike outside the store is – but Tesco loses out on the extra point for rack quality as a result, even though these Sheffield stands are excellent. The location already benefits from a Belfast Bikes station directly across the road, but there’s plenty of space to work with at the front of the store. No shelter and no CCTV coverage keeps the score low. On first view, compared with Ballysillan above, you might wonder what’s wrong with the scoring system that would rate a store with 12 racks lower than one with just 3. Indeed, Tesco Castlereagh’s attempt to make a high-profile dent in the bicycle traffic passing by its front door moved me to write an article in 2012. But things didn’t work out as I or Tesco hoped here. The 3 points for Tesco Castlereagh are for double figures of bicycle racks (2 points) and quality of racks (1 point) but that’s it. While the sign located at the side entrance is great, positioning the racks here around 60 metres away from the store entrance is a mistake. Most days you’ll see more bicycles latched to the trolley cages than the bicycle racks. The bicycle area is very exposed, both lacking shelter (while all the trolleys on site benefit from a roof) and no CCTV coverage adding to the worry that thieves will be off in a flash out onto the road and away. 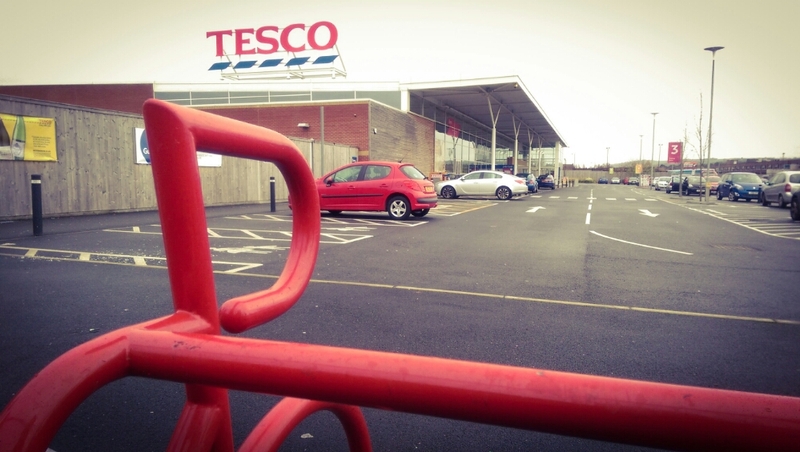 Its an unfortunate score for the store with second most bicycle racks in Belfast, but Tesco should swallow pride on this experimental location and put the racks where customers clearly want them – right beside the front door. A disappointing 3 points for Tesco Knocknagoney given the sheer scale of the superstore on the eastern edge of Belfast. There are 6 good quality racks which are nicely sheltered, but the pillars obscure a clear sight of the CCTV camera. The walk to the front door is one of the longest in Belfast unfortunately, and it’s not for want of space elsewhere. A tame effort at a flagship store. It would be fair to say this is the most surprising omission in the whole of the city. South Belfast being the heartland of cycling in Belfast, and this store being within an easy cycle (but not walk) of student accommodation as far away as Malone Road, and… nothing. Frustrated customers (understandably) take to locking bicycles on the barrier outside, which is there to stop kids running across the busy pedestrian crossing – not for bicycle parking. The streetscape is clogged due to Tesco inaction. There’s plenty of space in the nice underground car park here, but again no bicycle racks. Just a strange decision which needs urgently revised. Is this the current gold standard in Belfast? A very respectable 6 points for Tesco Newtownbreda out of 7 as it ticks every box except for offering additional services for bicycle users – close to being perfect. 15 racks are placed right at the entrance to the store, under the shelter of the store itself (which is on the first floor) and a wonderfully outsized CCTV camera points right down on the scene – probably more for the adjacent ATM machines, but the message sounds loud and clear. There’s even a big sign saying Bicycle parking which is almost non-existent apart from in Tesco supermarkets in Belfast – a small but important sign of pride. A creditable 4 points for Tesco Yorkgate which gets off to a difficult start with the quality of the racks. We give a point as at least you can lock the frame to the stand and rest your bicycle safely, but we’d like to see Sheffield-style stands (and many more of them) by this time next year. Otherwise the area is under cover and right beside the store entrance so 4 easy points. This store will become student central very soon with the opening of the Ulster University Belfast Campus, while the developing plans for the York Street Interchange now have excellent dedicated cycling links from Belfast city centre. This is one store that must be prioritised for improvements to match coming demand. “We actively encourage colleagues and customers to cycle. Locally we work with planning authorities to ensure our stores can be accessed by bikes and cycles can be securely parked. “Our colleagues actively participate in the ‘Cycle to Work’ scheme, offering discounted bikes and incentivising cycling locally. We’d expect to see the mighty Tesco challenging at the top of the table, but an overall average of just 2.78 out of 7 is a cause for concern. There’s good work going on in some stores, but it feels like a bout of consistency has tried but failed to break out. From rack design to signage to placement you can see the seed of a push towards the top spot in 2016, but Tesco really shouldn’t have stores which ignore some customers’ needs entirely. 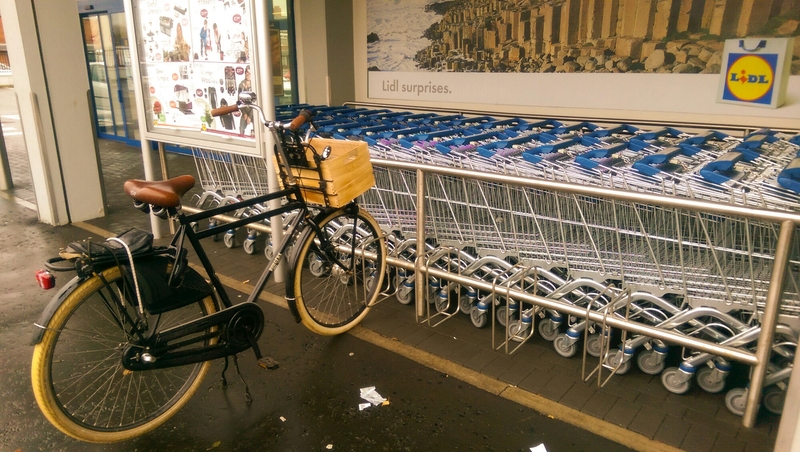 How does Tesco rank for bicycle facilities against other supermarkets in Belfast in 2015? Find out in Store Wars VII: The Cycling Revolution Awakens..